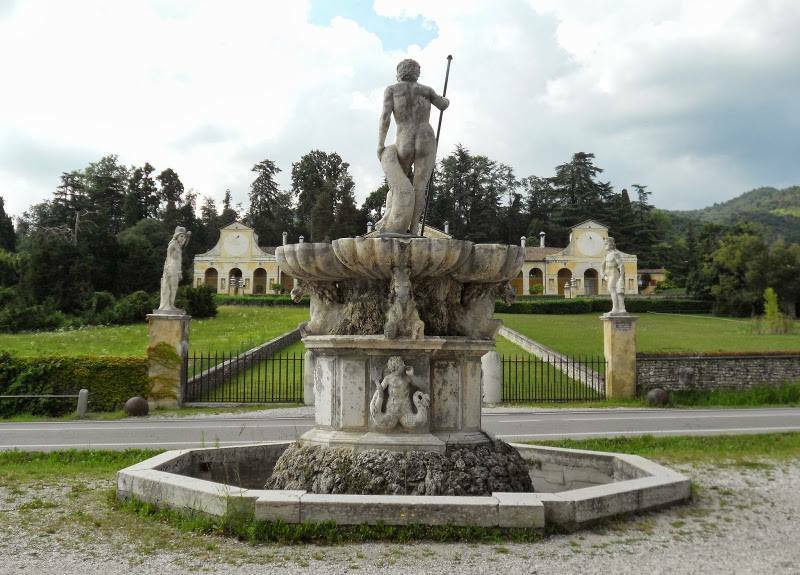 Villa Barbaro, also known as the Villa di Maser, is a large villa at Maser in the Veneto region of northern Italy. 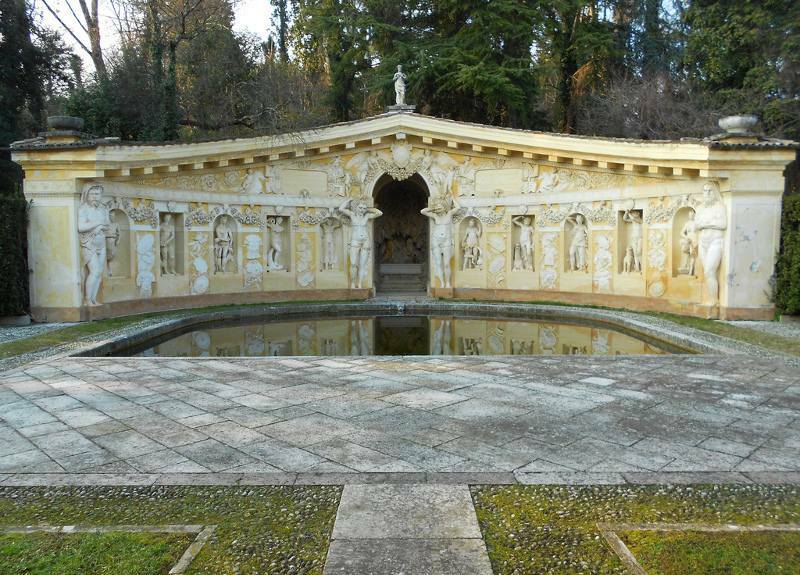 It was designed and built by the Italian architect Andrea Palladio, with frescos by Paolo Veronese and sculptures by Alessandro Vittoria for Daniele Barbaro, Patriarch of Aquileia and ambassador to Queen Elizabeth I of England, and his brother Marcantonio an ambassador to King Charles IX of France. 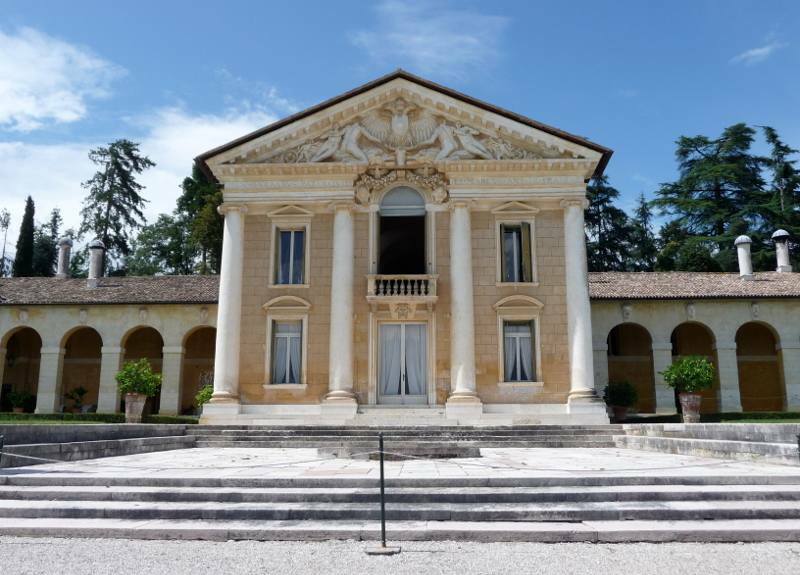 Palladio planned the villa on low lines extending into a large park. The ground floor plan is complex - rectangular with perpendicular rooms on a long axis, the central block projects and contains the principal reception room. The central block, which is designed to resemble the portico of a Roman temple, is decorated by four Ionic columns,a motif which takes its inspiration from the Temple of Fortuna Virilis in Rome. The central block is surmounted by a large pediment with heraldic symbols of the Barbaro family in relief.. 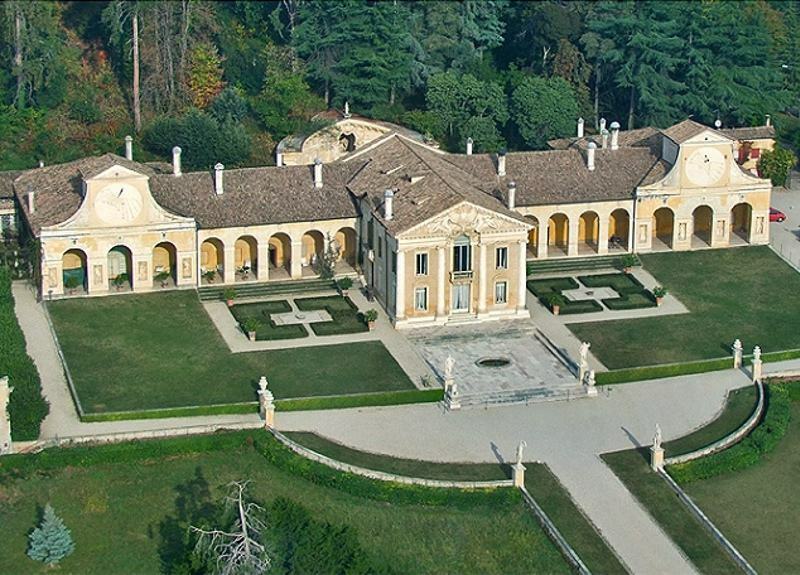 The villa was added to the list of World Heritage Sites by UNESCO in 1996.